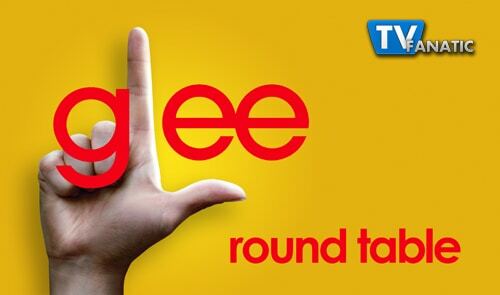 It's been awhile, but welcome to the latest edition of the Glee Round Table. A trio of staff members is here to break down "Blame It on the Alcohol," tackling the episode's best quotes, performances and more. Won't you join editor-in-chief Matt Richenthal, senior critic Steve Marsi and fellow panel member Eric Hochberger for the following analysis? Matt: A surprise winner this week from Principal Figgins for his introduction to the group's assembly performance: "And now, performing the hit song Tik and also Tok, by rapper Ke and dollar sign ha, New Directions." Steve: I loved drunk Rachel and can't decide between her telling Blaine that his face "tastes awesome" and her referring to him as "Blaine Warbler." We have a tie! Eric: Gotta give it to Will for getting seriously racy in his drunk dialing: " I rode a bull and was thinking of you?!?" Didn't know the guy had it in him. Matt: "Tik Tok," no doubt. It had the great intro from Figgins, as mentioned above, following by the important life lesson: never drink a Bloody Mary two days after getting wasted on the morning of a big performance. Steve: Agreed, Matt. Heather Morris is my favorite lead singer because she can just dance so well as she sings. Eric: Coach Beiste on stage? One of the few country singles ever covered? Easy: "One Bourbon, One Scotch, One Beer." Was Kurt out of line in his reaction to Blaine and Rachel? Matt: I don't think so. Even if you want to argue that he was being unfair to Blaine, haven't we all reacted in a similar manner when a role model lets us down? Even if it's a bit irrational? Blaine wasn't just billed by the show as someone out and proud; he sold himself that same way to Kurt. Made perfect sense to me that Kurt would be taken aback by Blaine's reaction to one drunken kiss. Steve: No. It's not even as complicated as any discourse on bisexuality: Kurt likes Blaine. Kurt wants to date Blaine. Kurt will get upset by Blaine wanting to smooch any lips that don't belong to him. Eric: Not nearly as out of line as he was in his conversation with his dad. What does he want from Burt?!? The guy is as understanding as one can be and didn't even issue a double standard about sleeping over here. He said the same rules apply to Kurt and Finn. Rachel wrote a song about her headband. About which items should other characters pen a single? Matt: Mercedes and her attitude. It's diva-tastic! Steve: Will and his hair products. How do the curls stay in place so well? Eric: Sue and her tracksuits. There's enough material there for a box set.